Want to grow berries? But what to do if you don’t have space to plant them? 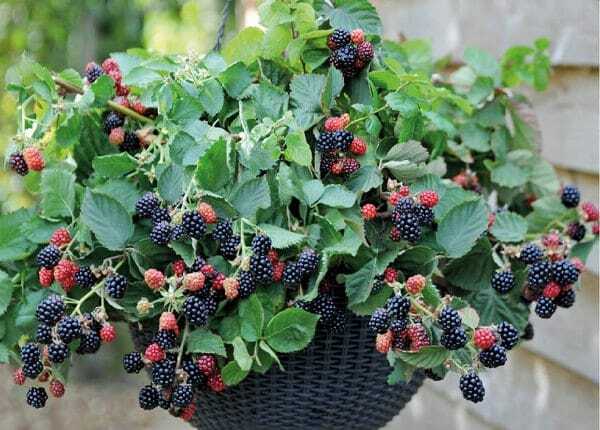 Growing berries in containers is the answer! Growing strawberries in containers is quite easy. 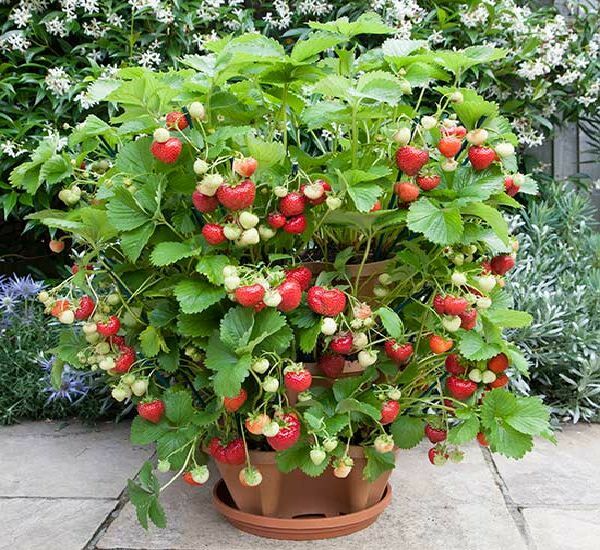 One of the best berries to grow in containers, strawberries are perfect for planting in a small balcony. Check out this informative article to find out the right time for planting strawberries! Strawberries can be planted in hanging baskets, strawberry planters, and terracotta pots with 20-30 cm spacing in between the plants. Due to their significant health benefits and the fact that they are very rare, Acai berries can be quite expensive. Luckily, you can try to grow these berries in containers. 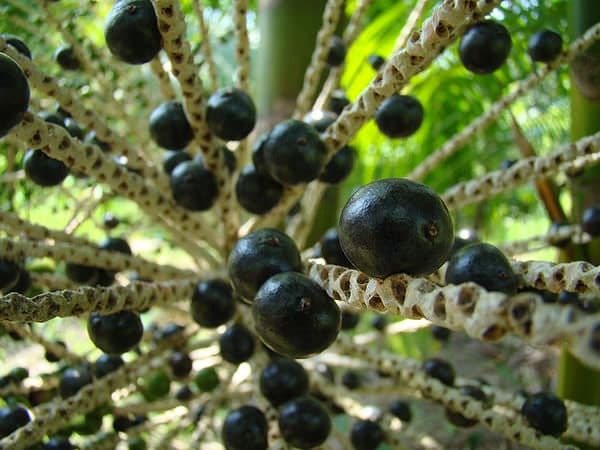 Only dwarf Acai berry palm can be tried, which on the ground can grow up to 20-30 ft tall but in containers, the height will be reduced to 10-12 ft tall. It takes at least 3 years to become mature and start fruiting. It can be demanding regarding space and time, and you’ll need a large container. Growing Acai palm is suitable in warm subtropical or tropical climate. Colder regions may not be ideal for Acai berries, but you can always use a greenhouse to grow them. If you are interested in growing raspberries in a container, then you should start by preparing a well-drained pot filled with fertile soil. 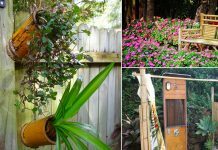 Ensure that the plants have access to a lot of sunlight. 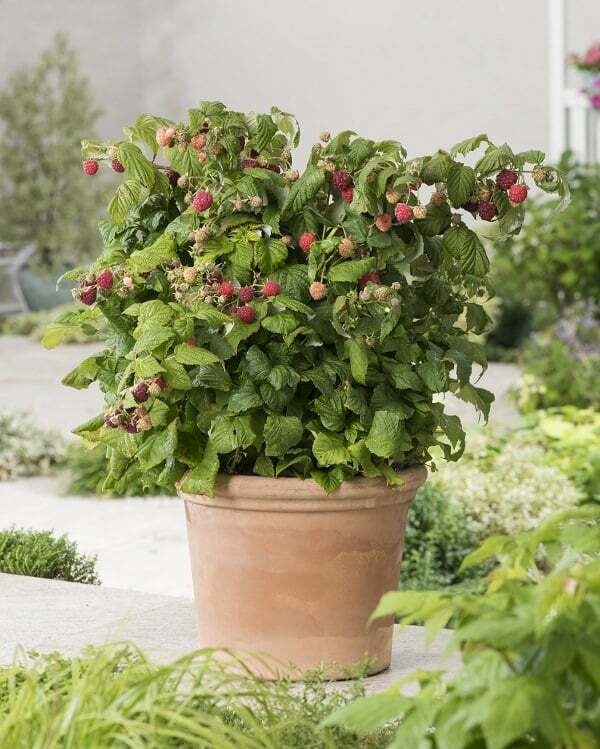 You can comfortably plant six raspberry plants in each container (60 cm in diameter). This helps you to avoid straining the soil’s nutritional resources. Also, remember to water the plants regularly to keep the soil slightly moist always while feeding with a high potash fertilizer during growth for sweeter berries. Growing blackberries in a container can be fun and at the same time, rewarding. All you need is a pot (5 gallons or more), a blackberry plant, soil, stakes for support, and a few pieces of broken pot (to boost drainage). 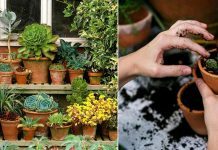 Start by placing the broken pieces at the bottom of the container and filling it with the nutrient-rich soil. Plant your blackberry into the pot and water it. The support stakes come into play after the plant starts growing. That’s because these berries are known to produce long and feeble canes that need support, especially during flowering and fruit development. An informative article on growing blackberries in a container is available on HGTV! 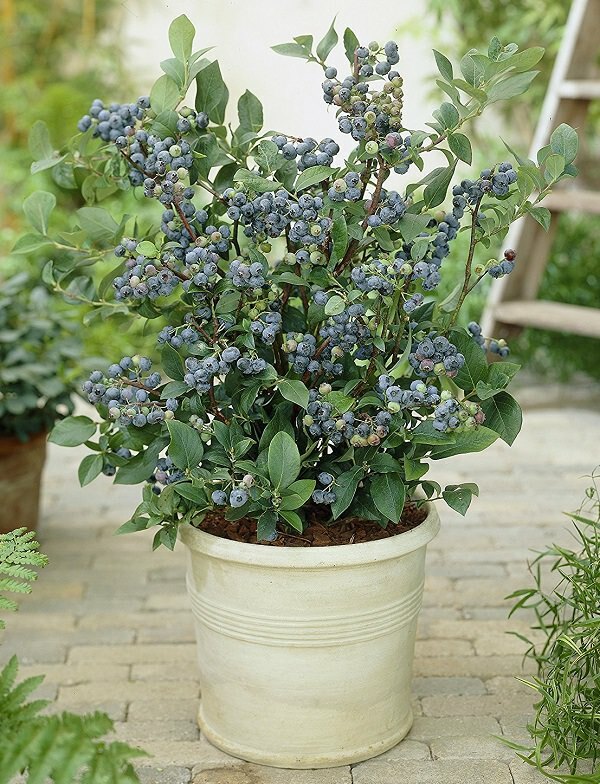 If you are looking for the best berries to grow in containers, blueberries should be on your list of options. Despite the fact that they can take up some space, these berries are known to last longer than most garden berries. Also, with the right information and know-how, you can be able to grow them in small spaces. The key benefit of growing blueberries in containers is that it makes it easy for you to keep the soil’s pH levels at the lower amounts (acidic, between 4 to 5.5). Like most berries, good drainage and plenty of sunlight are essential to the plant’s proper and “fruitful” growth. 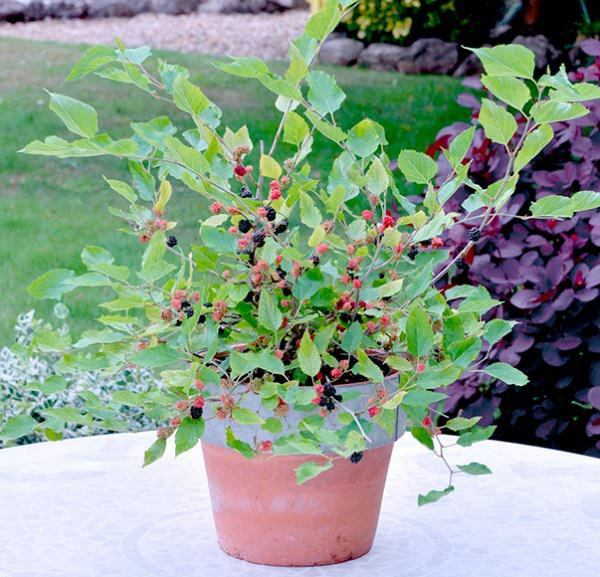 Growing mulberries in containers can be a boon as its fruits are hardly available in the market due to short shelf life. Fortunately, you can learn to grow it in a container. 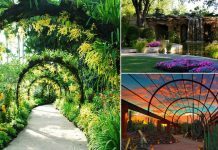 Full sunlight, moderate watering, and right soil is the key to its growth. Must check out our article on how to mulberry tree in a container to learn everything in detail. 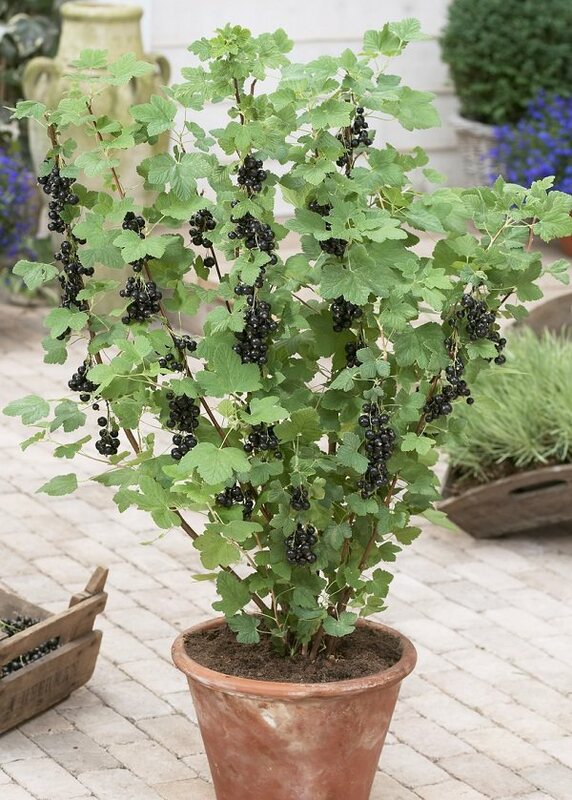 Blackcurrants are also among the best berries to grow in containers. Their sweet flavor and richness in Vitamin C make them quite invaluable. For this, you’ll need a large container. Just like mulberries, it can do well in a wide variety of soils – but preferably good drainage with some moisture retaining ability and rich in nutrients. Remember to place the container in an area with plenty of sunlight. You should also note that frost drastically reduces the plant’s yields, therefore, make sure you set a few protective measures in case you’re not in a frost-free region. 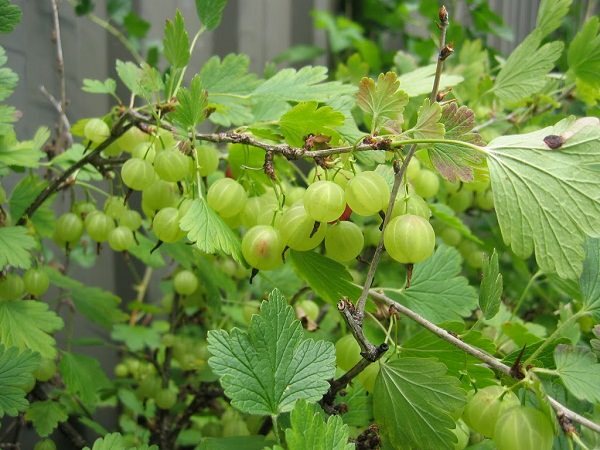 Growing Gooseberries in containers is similar to currants; you’ll need a medium-sized pot, at least 15 inches deep but a little wider as gooseberry bushes are shallow rooted, tend to sprawl than growing upright. It never grows above 5 feet tall. While you can choose from American or European gooseberries to grow. The earlier one is suitable for containers as it has more compact growth, productive and tolerates more sun. However, its fruits are smaller and a little inferior in taste than the European gooseberries.